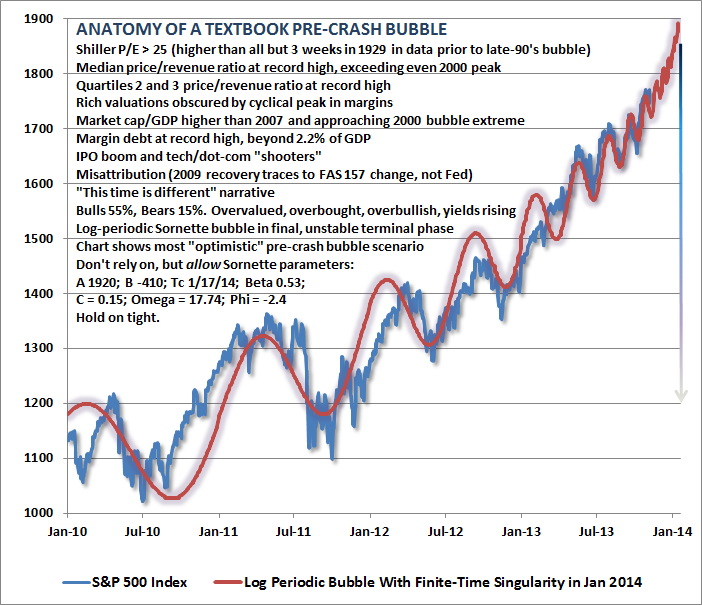 Credit Bubble Stocks: Hussman: "Anatomy of a Textbook Pre-Crash Bubble"
Hussman: "Anatomy of a Textbook Pre-Crash Bubble"
S&P 500 P/S Ratio of 1.67x is highest since 2000. Median P/S (different than index average) is at a record. Total Market Cap/GDP highest since 2000. Margin debt at record high, margin debt/commercial & industrial loans highest since 2007. Oh, good thing I listened to his permabear forecast of a market top between dec 15 and jan 20, lolol. True to form, we get no apology or regrets for being wrong in perpetuity but more charts telling us the end of the world is fast approaching and to get in the financial bomb bunker immediately. I love it. Keep it coming Hussman. So we can climb that wall you keep building, Ha.